Vegan Cheese Vegans Eat What? 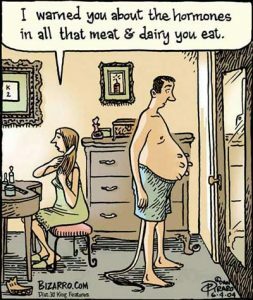 For many people the hardest perceived part of eating a plant-based/vegan diet is eliminating dairy cheese. Fortunately, the plant-based cheeses of today allow you to eat vegan and have your cheese too! 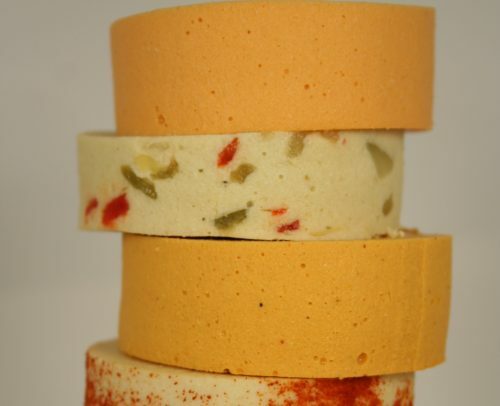 Vegan cheeses are made entirely with plant-based ingredients. While cashews are frequently used to create plant-based cheeses, vegan cheese can be made from a wide variety of ingredients including vegetables like eggplant and cauliflower, nuts such as macadamias and almonds, tapioca and other starches and nutritional yeast. You can buy vegan cheese commercially or make it yourself. Many vegan cheese recipes are relatively quick and easy while others involve considerably more time and effort. If you don’t want to make your own vegan cheese, there is a large and growing number of commercially available vegan cheeses. According to Marc Bernstein and Danny Cohan, founders of the Facebook “Vegan Cheese” group, (www.facebook.com/groups/VeganCheese/), companies selling vegan cheeses include Avellana, Beyond Better, Blode Kuh, Chao Slices by Field Roast, Cheezly, Daiya, Dr. Cow, Follow Your Heart, Free and Easy, Galaxy, Go Veggie, Heidi Ho, Kite Hill, Miyoko’s Kitchen, Nacheez, Nacho Mom’s, Nary Dairy, Punk Rawk Labs, Road’s End Organics, Sheeze, St. Martaen, Teese by Chicago Vegan Foods, Tofutti, Treeline, Veeta, Veg Chefs, Veg Cuisine, Vio Life, Virgin Cheese, Vromage, Vtopian, Wayfare, and Wilmersburger. Parma, Parma Zaan and Parmela specialize in vegan parmesan cheese. So which brand(s) taste the best? That really depends on who you ask! I haven’t tried them all (soon, hopefully!) but if you ask me to name my favorites, the list would surely include Miyoko’s Creamery, Heidi Ho, Follow Your Heart, Dr. Cow and Beyond Better. My husband loves Choa Slices by Field Roast and I have a friend who is crazy for Daiya. My advice? Try as many brands and flavors as possible to find what you like best. If you buy a commercial brand not named here check to see if the package is labeled “vegan.” If it is not, look at the ingredients. If the product lists “casein” or “whey” as an ingredient, it is not dairy-free. If you want to make your own vegan cheese at home, consider investing in a vegan cheese making book. 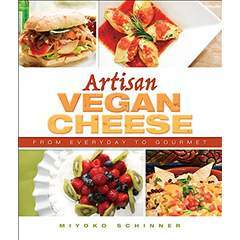 There are several on the market today and I especially like the recipes in Artisan Vegan Cheese by Miyoko Schinner (Book Publishing Company, 2012) and the The Non-Dairy Evolution Cookbook by Skye Michael Conroy (2014). The availability and variety of great-tasting plant-based/vegan cheeses is better than it has ever been. Given the growing interest in plant-based alternatives to dairy, the options will only keep increasing. And that’s just one of many reasons why today is a great time to be vegan! Below are a few vegan cheese recipes to try. Most of the nuts used in the recipes are raw and unsalted and some require soaking in water overnight, then draining and rinsing them prior to use in the recipe. If you use a Vitamix or other high speed blender, you can skip the presoak. If the recipe calls for lemon juice, only use freshly squeezed – it makes a difference in the final taste! This recipe was created by Tess Challis and is featured in the “Get Waisted Cookbook, 100 Addictively Delicious Plant Based Entrees”. For more information on Tess’ books and recipes, please visit Radiant Heath – Inner Wealth. Cheesy Mix is one of those perennial staples in our house. We like to keep this dry mix on hand (we store it in the fridge in a glass jar) and whip it up anytime we’re feeling cheesy. The sauce is great on baked potatoes, whole grain pasta, steamed broccoli or cauliflower, and even in a burrito, or drizzled on tostadas! Place all of the ingredients in a food processor. Blend until a fine powder. This cheesy mix will store in the fridge (in an airtight container) for months—although it never lasts that long in our house! To make cheesy sauce, simply combine one part Cheesy Mix to two parts water. For an extra smooth sauce, blend the mix and water in a Vitamix or Blendtec before heating (this step ensures a velvety texture, but is not necessary). Then, heat gently (whisking often) over low heat, until thickened. Serve immediately. This recipe from Vitamix uses raw almonds instead of cashews. Once made, it can be refrigerated for several days and provides numerous opportunities for easy, tasty and nutritious meals. You can skip the soak if you use a Vitamix or other high speed blender. Place all the ingredients together in a blender and process on high speed for 2 to 3 minutes or until the mixture is very creamy. Kris is a former attorney and long time vegetarian/vegan who was healed of severe digestive problems after eliminating all dairy from her diet. Says Kris "if I can make great vegan food, anyone can"! Kris devotes her time to promoting vegan/plant-based diets and can be reached at kris@veganseatwhat.com.